Dishwasher Repair in Seattle, WA. Dishwasher failure is a real hassle as the dishes pile up and you have to wash them by hand. 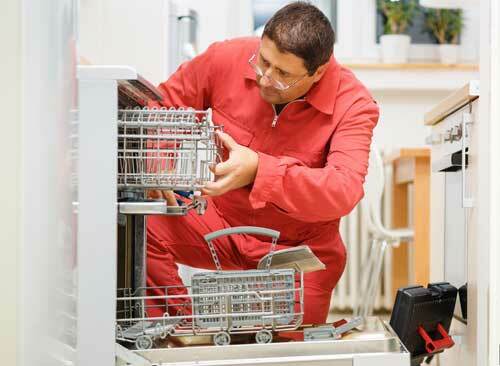 Avoid the hassle by calling the top Seattle dishwasher repair service today. At Seattle Appliance Repair, we promise prompt, affordable dishwasher repair in Seattle and nearby cities that you can trust! Our goal is to be the only Seattle appliance repair company you ever need! To reach our goal, we strive for same-day service on all repairs. Our fully-trained technicians have outstanding experience, so they can quickly determine the cause of the problem – they’ve seen it all many times before! You’ll be given a written estimate of the repairs, and your questions will be answered. Repairs are made when you authorize them, so there are no surprises and there are NO hidden fees. Our work is guaranteed, and we’ll give you a written warranty for parts and labor. Night and weekend appointments are available for Seattle dishwasher repair. The cities we cover include Seattle, Federal Way, Everett, Sammamish, Bellevue, Kirkland, Edmonds, Redmond, Renton, SeaTac, Mercer Island and other local cities. We repair all brands including GE, Maytag, Whirlpool, Kenmore, Jenn-Air, KitchenAid, LG, Samsung, Viking, Asko, Sub-Zero, Wolf and more. And we repair all your appliances including refrigerators, dishwashers, stove, ranges, cooktops, ovens, compactors, garbage disposers, clothes washers, clothes dryers, furnaces and more. We will do such a great job with your Seattle dishwasher repair that we’ll be your go-to company when any appliance needs to be fixed. One contact is all it takes, and we’ll move quickly to get your major appliance back in service!